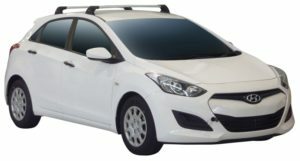 The SX roof rack system is designed specifically for use with roofs that feature rails. Easy to install and remove, it comes with security hardware to protect your racks against theft. Carrying capacity 75kgs, can be installed anywhere along length of rails. 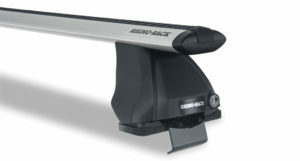 Adaptable, easy to use, strong and light are the key features of the Rhino-Rack Vortex 2500 FMP. You can install the Vortex 2500 FMP at home and in less than 30 minutes. 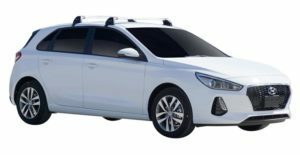 This roof rack is designed to be fitted so seamlessly to your Factory Mounting Points that it will look like it was always part of your vehicle. 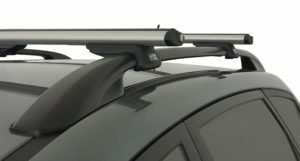 On top of the 2500 leg is Rhino-Rack's Vortex bar which is the most compatible with Rhino-Rack accessories so whether you're a traveller, cyclist, surfer, tradesperson or outdoorsy type - the Vortex 2500 FMP roof rack system has you covered. 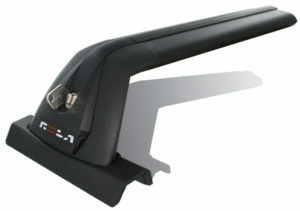 The Flush Bar seamlessly blends with your vehicle's design while providing superior aerodynamic performance, lowest overall drag and quietest ride available. Fits to anchor points in roof, carrying capacity 75kgs over 2 bars. 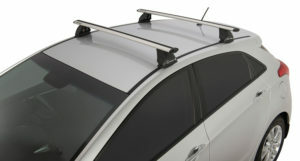 Strong and robust roof rack which utilises fixed mounting points within the roofline of your vehicle. Carrying capacity 60 kgs.